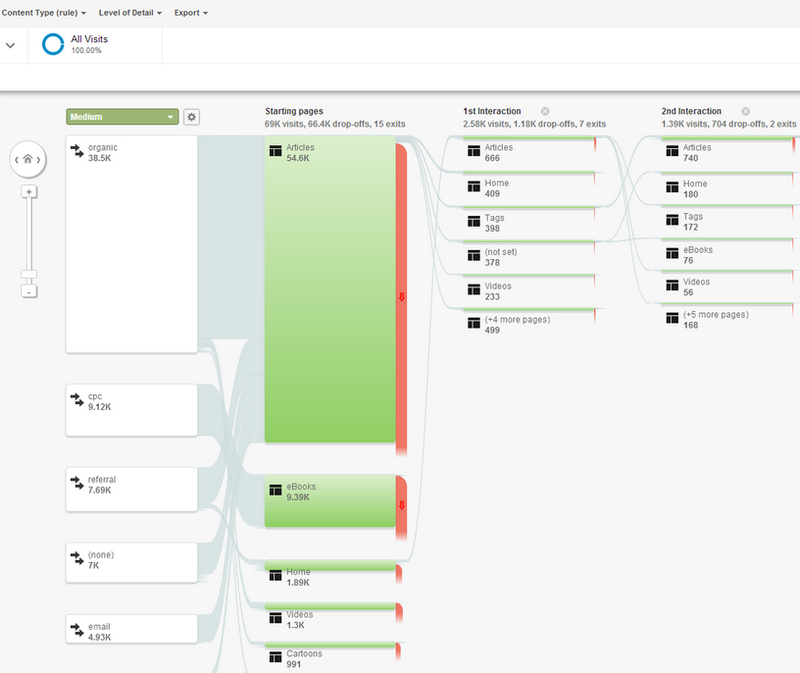 Many of you have shared with us that it’s difficult to identify traffic patterns from Behavior Flows that include a large number of pages. That’s why we're pleased to announce that we’re adding support for Content Groupings in the Behavior Flow. The more time you spend setting up your Content Groupings, the more information you will be able to discover from viewing them in the Behavior Flow. Watch the video to learn more about setting up Content Groupings. Visit our Help Center to learn how to get started with Content Groupings, or read this article about using the Behavior Flow once you have set up your Content Groupings.